Theoria: What is the Orthodox Church? Theoria: What is the Task of Orthodox Christians Living in America? 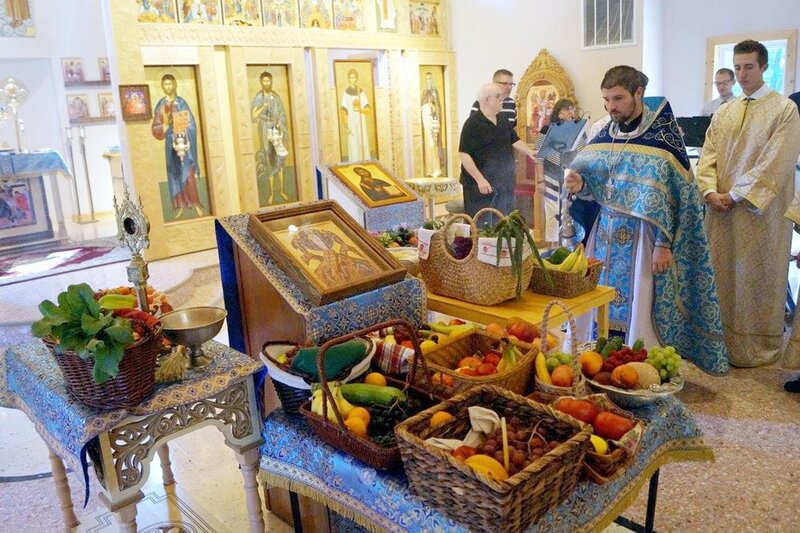 The faithful of St. Mary Magdalene Orthodox Church brought baskets of fruit to be blessed by Fr. Gabriel Bilas. This is part of an ancient tradition, dating back to ancient Israel, of setting apart and blessing the first-fruits of the harvest as a way of giving part of it back to God in thanksgiving. For Orthodox Christians, the blessing of fruit is done on the day commemorating the Transfiguration of Jesus Christ, when He let the light of His divinity shine through His human body to be seen by some of His disciples. Aside from celebrating the bounty God has provided, the blessing of fruit also serves as a reminder that everything God has created is good and can further our relationship with Him.